Are looking for a temporary job opportunity? Enjoy talking to your neighbours? Want to serve your City? 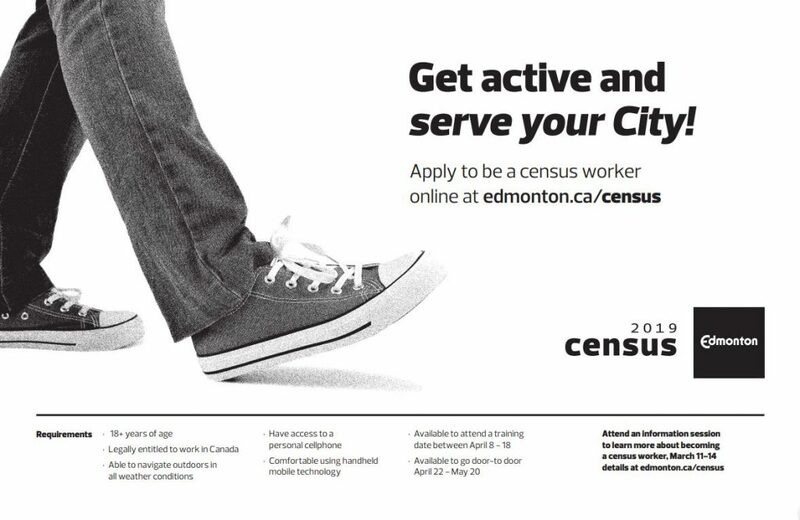 The City of Edmonton is hiring 750-1000 contract staff to help carry out the Census. Applicants will complete an in-person interview in March, and attend a training date between April 8-18.